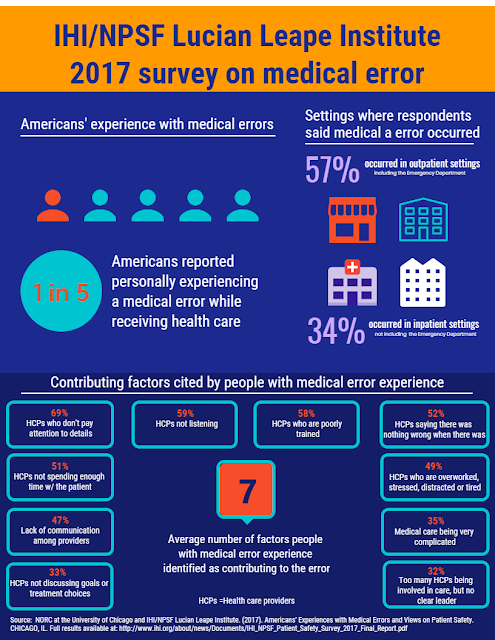 A new survey reveals that 41% of Americans have experienced a medical error while receiving healthcare. Respondents reported that 57% of medical errors occurred in outpatient settings including emergency departments. 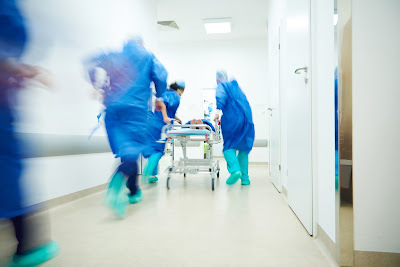 34% reported medical errors occurring in inpatient settings. 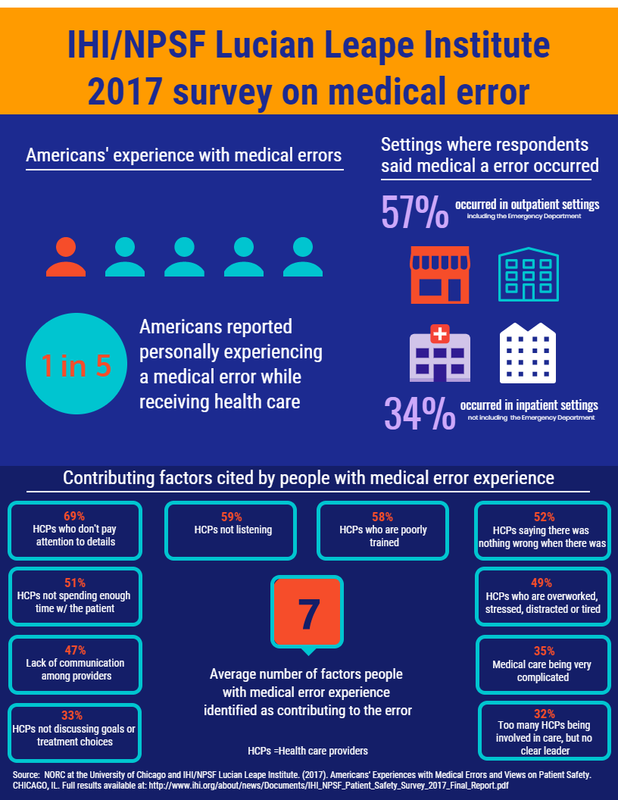 Of those who experienced a medical error, 73% said the error had long-term or permanent impact on the patient’s physical health, emotional health, financial well-being, or their family relationships, and many say they experienced lasting impacts on multiple aspects of their lives. The survey found that people often don’t report medical errors because they don’t think it will make a difference. 56% of those who did not report the error said they didn’t think it would do any good. 40% said they didn’t know how to report the error. 24% said the error was an honest mistake and no harm was intended so they didn’t report it. don't discuss goals or treatment choices. Other factors identified include medical care being very complicated and having too many providers involved in care with no clear leader. 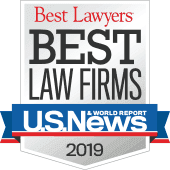 The nationwide survey of more than 2,500 adults was conducted by NORC from May 12–June 26, 2017. For more information including survey fact sheets and to download the full report, visit the Institute for Healthcare Improvement at http://www.ihi.org.